We do note that the “DUP” [Declaration of Public Utility] will not be extended. The project will definitely be null and void by February the 8th. The long term management of the lands of the ZAD should be given over to the various actors of the struggle, in all of their diversity: farmers, naturalists, locals, groups, people that have lived here for a long time or have just joined us. As far as the question of the reopening of the the D281 road is concerned, a road closed by the state in 2013, the movement will take take the matter into his own hands. A police presence or intervention could only create tensions. 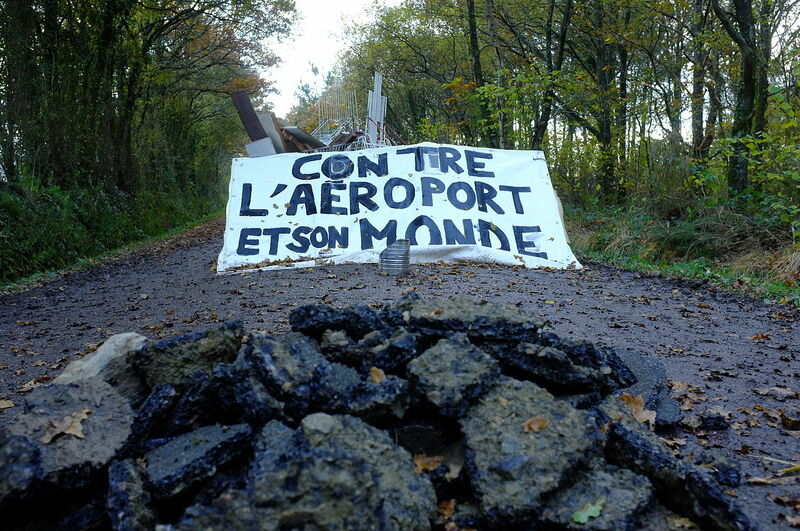 For other articles on the ZAD’s of france, click here. The Taranis News collective has, since 2012, provided excellent video coverage of the ZAD. This entry was posted in News blog and tagged anti-capitalism, ecology, Notre-Dame-des-Landes, ZAD. Bookmark the permalink.